Throughout his career, Drew Brees seems to have operated in the shadow cast by the other star quarterbacks of his era. You know, he’s great, but far from the greatest. Blah, blah, blah. We beg to differ. 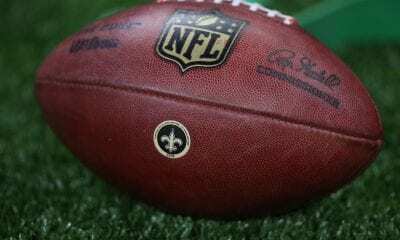 And that perception is about to change forever, perhaps as soon as Monday Night, when the New Orleans Saints play the Washington Redskins. 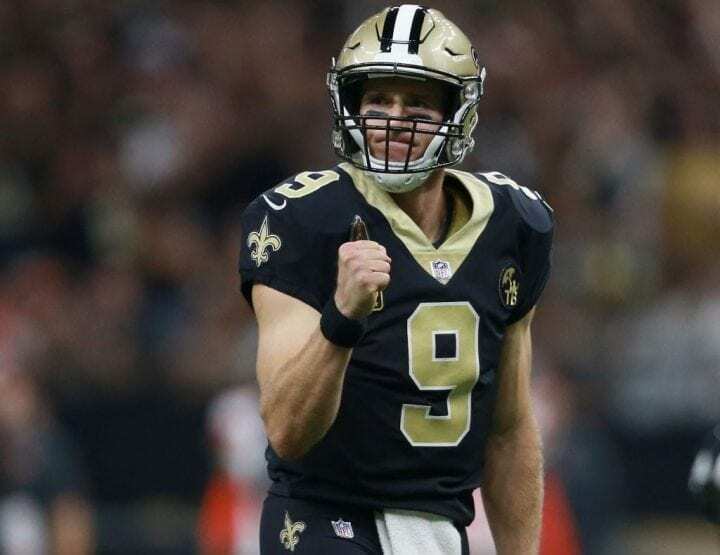 If Brees can torch the Redskins for at least 201 yards, he will pass Brett Favre (71,838) and Peyton Manning (71,940) for the most passing yards in NFL history. The Redskins come into the game the league’s third-ranked pass defense. So unless they voluntarily fall to the ground, like Farve did to allow Michael Strahan to set the single-season sack record in 2002, Brees may have to build a sweat to set the record. Brees, 39, is as much a first-ballot Hall of Famer as Tom Brady and Aaron Rodgers. And he has shown no evidence of slowing down or expressed any desire to retire. By the time he is done, its likely he will throw for thousands of more yards. 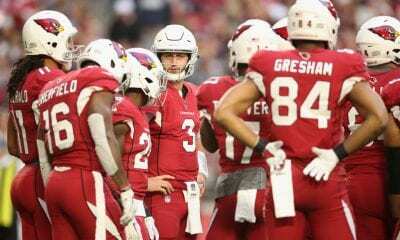 If he doesn’t throw for another he would leave the game with the most completions (6,344) in league history, the most completions in a season (471 in 2016) and the longest consecutive game streak (54) with a least one TD pass, set from 2009-2012. For so early in the season, it hard to image there could be a more fascinating game than Sunday’s Kansas City-Jacksonville showdown. Just look at the contrasts: The Chiefs lead the league with 145 points and have accumulated 25 pass plays for more than 15 yards. But they now joust with a Jags’ defense that leads the league by allowing only 14 points a game, 164.3 passing yards and 259.3 total yards. Chiefs QB Pat Mahomes has 14 touchdown passes and no interceptions. The Jags have allowed only three TD passes. The Chiefs field the league’s worst defense. And Jags’ QB Blake Bortles threw for 388 yards last week against the New York Jets. They will also need persistence to stop Mahomes. ESPN said he threw for 192 yards after scrambling from the pocket in Denver on Monday Night, the most by any QB in the last decade. Who will win? The Elias Sports Bureau, the authority of all things statistical, tells us the top-scoring offense has dueled the top-scoring defense in Week 5 or later seven times in the last 20 seasons. The offenses have won five times and have averaged 30.1 points. Can Steelers Stop Falcons From Flying? Even after Sunday, Pittsburgh (1-2-1) and Atlanta (1-3) will have plenty of time to make up for early-season insufficiencies, of which there are many. But you can understand how their fans might not feel the same way. Sunday at Heinz Field, these perennial postseason powerhouses will try to avoid becoming afterthoughts in their divisional races. Defense has eroded both foundations. Atlanta’s offense has generated 902 yards and 80 points in the last two games and lost them both, strange considering head coach Dan Quinn came to the Falcons as defensive prodigy in Seattle. Last week, Andy Dalton of the Bengals threw for 337 yards and three TDs against the Falcons in a 37-36 win. Meanwhile, the Steelers, ranked 30th in defense, have lost their last three home games and haven’t lost four straight in 20 years. And they are coming off a game during which they allowed Baltimore QB Joe Flacco to throw for 363 yards and two TDs. Time does not stand still in the NFL. Each year brings transformation, even to teams that experienced great success the year before. 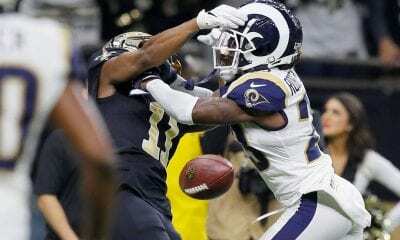 And the Philadelphia Eagles and Minnesota Vikings, who played for the NFC title last season, are quite different than the day the Eagles romped 38-7. Carson Wentz is back as the Eagles quarterback in place of Nick Foles. Kirk Cousins now runs the Vikings with Case Keenum in Denver. And frankly, neither team has knocked our socks off yet. “We know we’ll get their best, obviously, with the way it ended last year,” Wentz said earlier this week of the Vikings. After beating Indianapolis and former offensive coordinator Frank Reich, Wentz and the Eagles offense will now need to outsmart the Vikings’ new offensive coordinator, John DeFilippo, their QB coach the last two seasons. What might help is that Minnesota’s defense, which led the NFL last season, is currently No. 21 without three-time Pro Bowl defensive end Everson Griffen, who left the team because of mental health concerns. On defense, the Eagles know the Vikings have no running game. They ran the ball only six times last week and Dalvin Cook leads the team with just 98 yards. But Cousins has had extraordinary success hooking up with wideouts Stefon Diggs and Adam Theilen, who has 40 catches and at least 100 receiving yards in the first four games. The Oakland offense Jon Gruden has been touting finally showed up last Sunday against the Cleveland Browns. Oakland had players surpass 100 yards in rushing (Marshawn Lynch), 100 yards receiving (Jared Cook and Amani Cooper) and 400 yards in passing (Derek Carr). The Raiders hadn’t managed that since 1964. In fact, Carr’s 437 yards was the second-most in franchise history – he holds the record with 513 against Tampa in 2016. But even then, it took the Raiders overtime before they could pick up their first win of the season. Now we will see what they can do in Los Angeles, in what amounts to a crucial early-season AFC West matchup. Carr will have to cut down on the interceptions (he has seven) that counter his excellent completion percentage (71.0). And Oakland’s defense will have to deal against with QB Philip Rivers (11 TD passes, 1,156 yards) and halfback Melvin Gordon (475 yards from scrimmage).